Animefringe's March issue has a definite 'toy' theme this month as you can tell by now. From our Lego feature to our merchandise and action figure reviews, this month is just packed overflowing with, well, stuff. 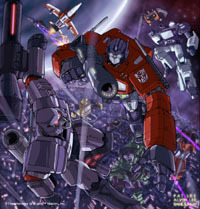 We've even got a interview with Pat Lee of Dreamwave Productions about their hopes in getting the rights to do a new Transformers comic. 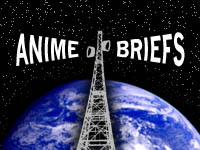 Not to mention our new Anime Briefs section and guest editorial this month. "You better get ready!" You know the senario, you've got a lego model on display and your date comes over and knocks it over, sacttering it in a bazillion pieces. And all they say is, "oops.. I'm so sorry... I didn't mean to do that... Hey! I didn't know you had kids." And all you manage to stutter out is, "I... I... I spent 4 weeks on that Macross figure..."
You saw the picture in Wizard. You've got it as your wallpaper. Now find out just what the deal is behind Dreamwave Production's goal in acquiring Transformers as we sit down with Pat Lee to find out these very answers. Learn the proposed plot, find out the chances of this coming to pass, and even learn something interesting about frogs in the process. 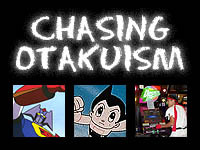 Editorial: Chasing Otakuism - Dr. Slump, or How I Learned to Stop Worrying and Buy more Anime Toys! We've got a brand new section this month spotlighting some of the new series that are making their way to TVs in Japan. Up this month we spotlight CLAMP's latest manga to anime adaption the Angelic Layer as well as some background info on the Video Game sensation that's making it's way to anime form, Parappa The Rapper. Original Material © 1999 / 2001 Animefringe, All Rights Reserved. NOTHING can kill the Grimace.